It is not often that a three wheel car gets our attention as something that is fun, but that has been permanently changed now since we have re-examined the T-Rex three wheeled sports car (Three Wheel Car T Rex). 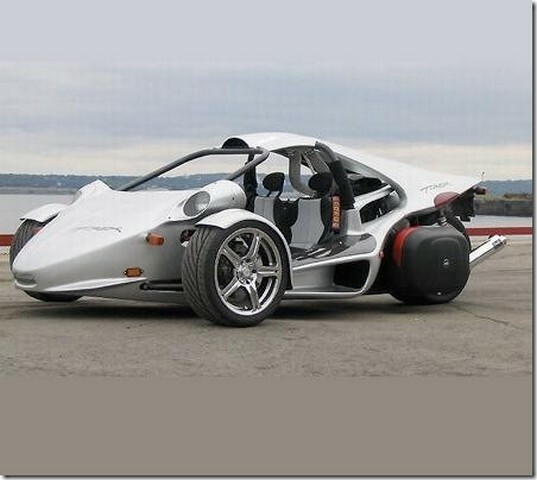 The sleek car (technically a trike) sports a 187hp Kawasaki engine with only 43kgsos (946 pounds) of weight. If you do the math, you will discover that it translates to a lot of fun. For example, the T-Rex can manage a 0-60 in only 3.5 seconds, with a top speed around 157 miles per hour.